This week the SAPPHIRENOW event takes place in Orlando, a yearly event where SAP announces its strategy and new products. 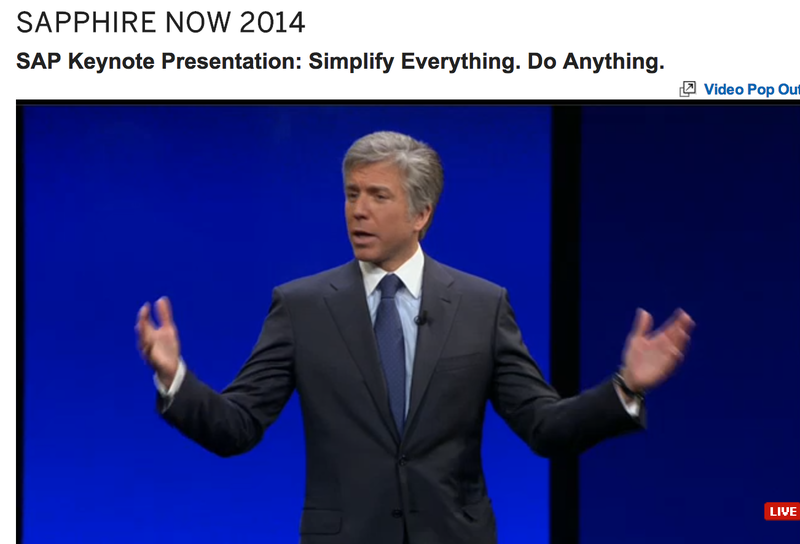 On Tuesday Bill McDermott, the CEO from SAP, did some major announcements. All with regard to making SAP simpler. In this blog I will describe the license changes for SAP Fiori and SAP Screen Personas. These new UI innovations are now part of SAP’s maintenance fee. Yes, you’ve read it just well, SAP has announced that SAP Fiori and SAP Screen Personas are now part of your maintenance fee. This means that it is possible to use these innovations to offer SAP functionality in a user friendly way to your end users, for FREE! The wish for this license change existed already since SAP had announced these products, as you can read in the discussion to free Fiori on Diginomica. “Why do I have to pay extra to finally have an user interface that is long awaited?” We all know, the traditional SAP GUI screens (those blue ones) do not offer a lot of user friendliness ;-) SAP had realized this and introduced their new UX strategy “New – Renew – Enable” early 2013. Within Enable the SAP Screen Personas solution is offered. Change the screens yourself. When you do not need a certain button, get rid of it. Combine 3 tabs into 1, piece of cake. Want to use your own colors, go ahead color away. 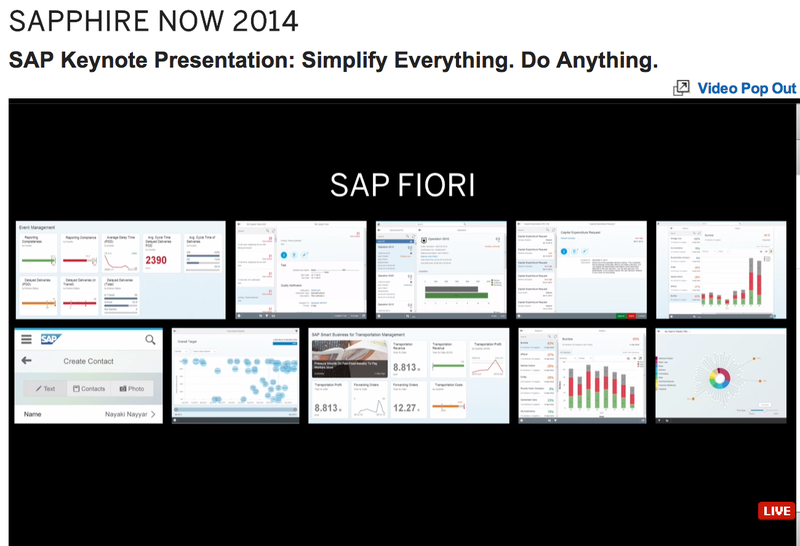 SAP Fiori delivers new (part of Renew) user friendly screens for existing functionality. Examples are: Approve expense claims, Request for leave, Create sales orders and many others. With Fiori Wave 4 also SCM and Smart Financials are added. All Fiori processes look alike, have a friendly interface and are easy to learn. The SAP Fiori screens are also possible to color to your own corporate identity. And the SAP Fiori Launchpad offers an easy, tile based, access to your functionality. Until recently these solutions came with additional licensing, on top of your SAP ECC licenses. A lot of customers didn’t understand this and expected SAP to deliver this as part of their maintenance contracts. As a result adoption was slowed down and end users couldn’t get their hands on the new innovations. This is why SAP changed the license model, SAP wants to roll out innovations much faster and make sure that end users are supported quicker with new solutions. A bold choice but the right choice, to my opinion. Drive adoption of innovations without hampering this with a complex and expensive license model. This means a serious shift in how SAP sells their products. Instead of selling technology, sell your solutions. Prove how end users are supported in their processes. Happy users! Offer your business process functionality in a user friendly way. You can now choose between turn key SAP Fiori solutions, create your own SAP Fiori like applications with SAPUI5 (also free) or to adjust your SAP screens with SAP Screen Personas. Hard to choose? Happy to support you to determine what option is best to fit within your organization, and how to make your end users happy users. Also published as blog on The Next View site.